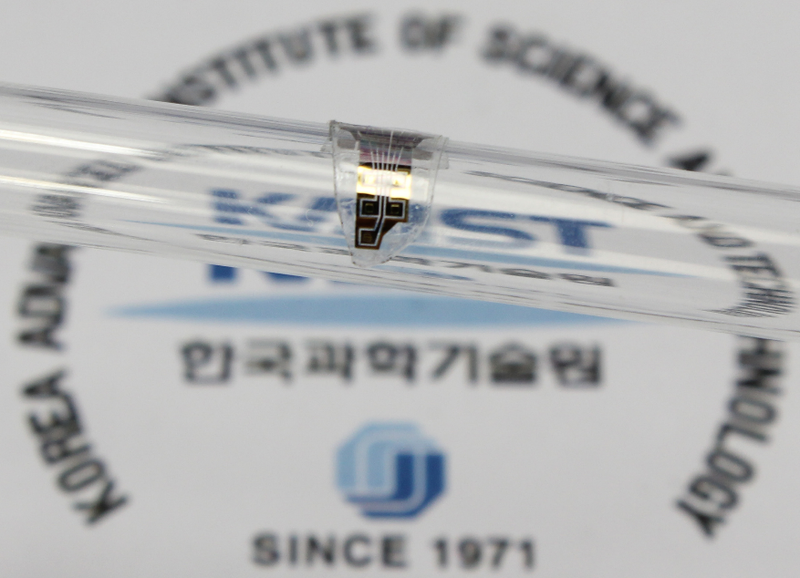 A KAIST research team has developed a flexible drug delivery device with controlled release for personalized medicine, blazing the path toward theragnosis. Theragnosis, an emerging medical technology, is gaining attention as key factor to advance precision medicine for its featuring simultaneous diagnosis and therapeutics. Theragnosis devices including smart contact lenses and microneedle patches integrate physiological data sensors and drug delivery devices. The controlled drug delivery boasts fewer side-effects, uniform therapeutic results, and minimal dosages compared to oral ingestion. Recently, some research groups conducted in-human applications of controlled-release bulky microchips for osteoporosis treatment. However they failed to demonstrate successful human-friendly flexible drug delivery systems for controlled release. For this microdevice, the team under Professor Daesoo Kim from the Department of Biological Science and Professor Keon Jae Lee from the Department of Materials Science and Engineering, fabricated a device on a rigid substrate and transferred a 50 µm-thick active drug delivery layer to the flexible substrate via inorganic laser lift off. The fabricated device shows mechanical flexibility while maintaining the capability of precise administration of exact dosages at desired times. The core technology is to produce a freestanding gold capping layer directly on top of the microreservoir with the drugs inside, which had been regarded as impossible in conventional microfabrication. The developed flexible drug delivery system can be applied to smart contact lenses or the brain disease treatments by implanting them into cramped and corrugated organs. In addition, when powered wirelessly, it will represent a novel platform for personalized medicine. The team already proved through animal experimentation that treatment for brain epilepsy made progress by releasing anti-epileptic medication through the device. Professor Lee believes the flexible microdevice will further expand the applications of smart contact lenses, therapeutic treatments for brain disease, and subcutaneous implantations for daily healthcare system. 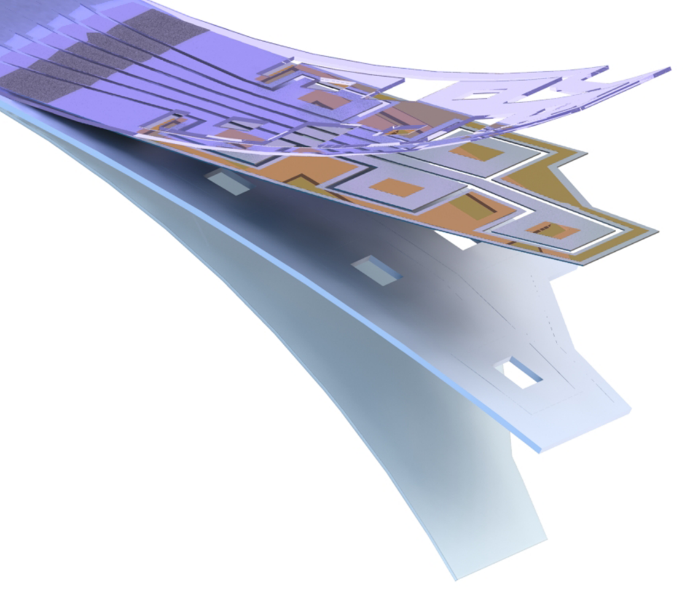 This study “Flexible Wireless Powered Drug Delivery System for Targeted Administration on Cerebral Cortex” was described in the June online issue of Nano Energy.